Here's some brilliance from BJA himself. 'Dookie' turned 25 this week! To celebrate, we're digging into the archives and revisiting some of the Green Day frontman's greatest quotes ever. "Courage is hard. You have to be willing to take it on the chin if you get things wrong. Now I have clarity in my own life I’m able to focus…"
"None of my best songs were written when I was fucked up. You have a moment of courage and clarity and bam, you write 'Holiday'. You can’t write about war if there’s a war going on in your brain. It’s not about having the solutions to every problem in the world, but at least we can open the conversation, share that with kindred spirits and be able to sing together." "I’ve always believed in our records and I think around ‘Warning’ we hit our smallest core fanbase, but it was still a big audience and we were never unhappy with that." "I remember getting ready to do 'American Idiot' thinking that people were either going to call us brilliant or crazy for doing it and I think maybe we got a little bit of both in the reaction. With any album, you put in the best you can and you dig further than ever before and then you put it out never really knowing what will happen…"
"Being in a band is a lot like having a classic car. You have to constantly tune it and care for it, because if you don’t then it’s going to rust and fall apart." "I guess that’s my biggest fear for this band. I worry that if it stops, it’s going to break down and end up in the junkyard. You can hear it with some bands, man, and you can tell when they haven’t been playing together because they’re too busy resting on their laurels. Most of the time, those bands are the ones that end up losing it." "We need to keep working because we need to make sure that we’re firing on all cylinders." "I always think that Joe Strummer had a really great attitude towards bands that either mimicked or sounded like The Clash, he was always really positive and humble, like a guy passing on the blues or something. I think it is important to do that, you have to pass the torch along and as long as people get the right stuff from it then it’s great." "I have been in Green Day for most of my life, we have been doing this since I was 16 years old, and I just love how this band has evolved from a bunch of 'slackers' to one of the most socially conscious bands out there. It is pretty groovy to see how things have changed and yet it has all been a very natural process for us." "Whenever you write a record you run the risk of your ideas not appealing to certain sections of society, but there’s something about the energy we have that people get into and that’s never changed. There’s a lot more to punk rock than just a catchy song, it’s a deeper thing about community and connection - and I think we’re still part of that." "After a while I started to realise that it is my passion to play live for people and it is on all levels - from a club show to playing at Milton Keynes, or something like that. It’s a thing that we love to do and I’m addicted to the adrenaline of it." "After a year being off the road it got pretty hard, I started to get pretty low as I wanted that drug back, I wanted that connection back." "Me, Joey and Jakob share music all the time. They’ve gotten me into so much great stuff. It’s a beautiful thing to do that with your kids." "It reminds me of the old days when we lived with other bands in the same community, it’s just that these guys happen to be my sons! SWMRS are really good too, they’re coming up in a cool scene and recorded their album at the same place we did ours." "I mean, if they became accountants we’d have nothing to talk about. I don’t think they feel pressure from me - it’s not like we sit around talking about being famous, we just talk about records like you would with your friends in the pub." "If they’ve got anything good from me, coming out of the Gilman Street scene and all of that, it’s that spirit of being deeply connected to your community. They’re good people, if they were assholes it would be different, but there’s no primadonna attitude there with either of them." "I’ve always wanted to be in a band that lasts. I’ve always wanted to be in a band that goes the distance and evolves, and I think that in the back of our minds we’ve all felt that way since day one. We still dream about music in the same way that we did when we were 16 years old, and that’s something that I personally think we’ll never lose." "When we started working on '21st Century Breakdown' we knew that there was pressure, but to me that was something we embraced and used to our advantage." 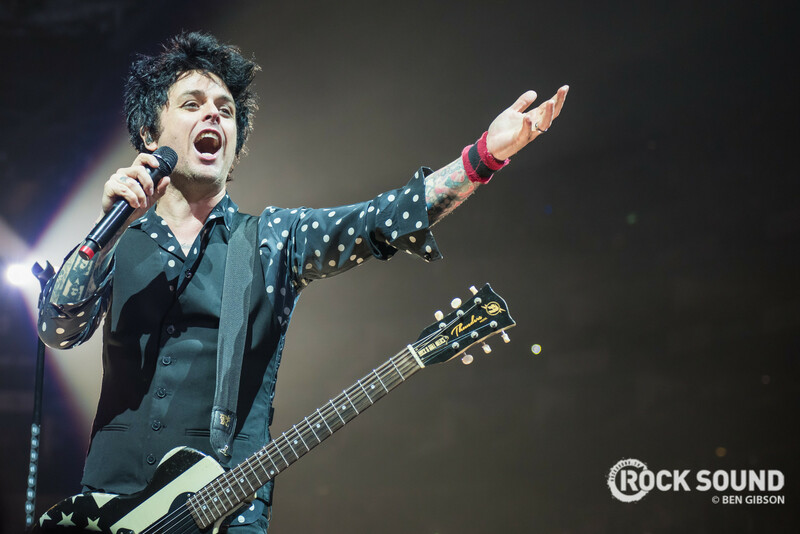 "'American Idiot' was this huge beast of a record that no one really saw coming, but did we want to sit back, pat ourselves on the back and make something that we knew would probably replicate those results? No - not at all." "Instead, it was like, okay, let’s make an even bigger and better record than we did before, and let’s take it as far as we possibly can. We made a conscious decision to take it that step further and really test people’s perception of what they thought a rock 'n' roll band could be, and I think that as a result those two records kind of book-end each other in a lot of ways." "It was fortunate that we approached things in that mindset, because to an extent [that record] was almost like the end of an era." These quotes originally appeared in issues 123, 165, 219 and 221 of Rock Sound. Green Day's most recent album 'Revolution Radio' came out in 2016.